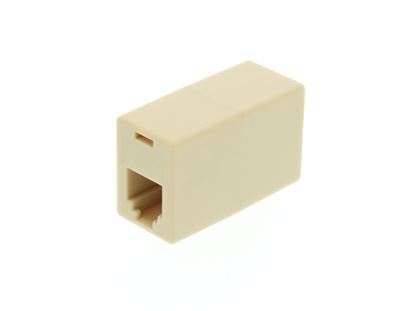 This Modular T Adapter from Networx® offers you the ability to connect one 4 wire RJ11 modular cable to two cables of the same type. 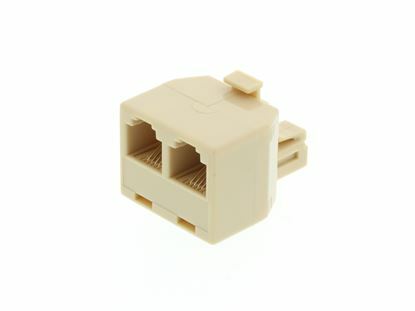 This Modular T Adapter from Networx® offers you the ability to connect two 4 wire RJ11 modular cables to a jack of the same type. This Modular T Adapter from Computer Cable Store™ offers you the ability to connect two 6 wire RJ11 modular cables to a jack of the same type. 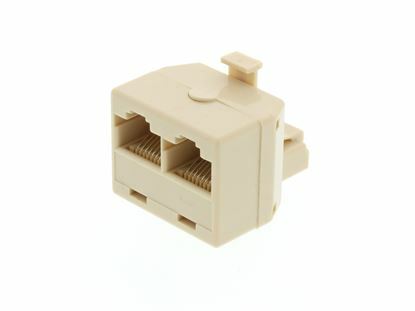 This Modular T Adapter from Networx® offers you the ability to connect two 8 wire RJ45 modular cables to a jack of the same type. 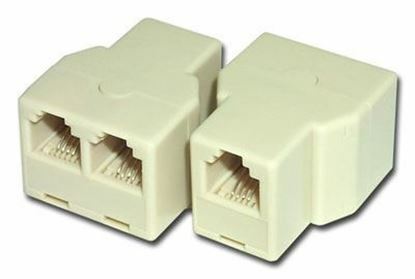 Networx® CAT5e Splitter allows you to run 2 active connections over a single Cat5e cable by splitting the pairs into 2 separate connections. Save money and time by using existing cabling infrastructure. 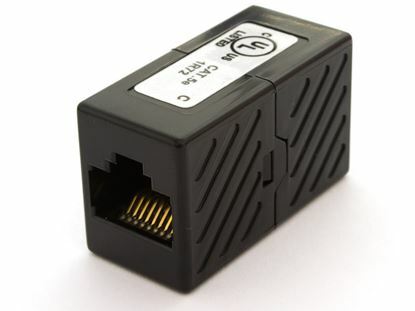 Networx® variety of Couplers will help you to connect multiple cables together, or extend an existing line. 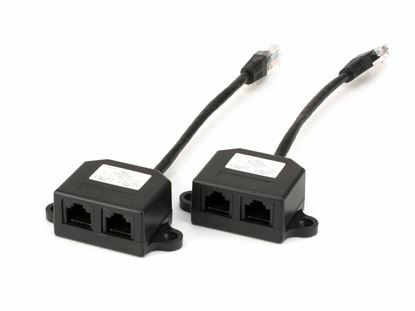 Our RJ11 Modular Coupler - Cross Wired - 6 Conductor couplers provide a quality female to female connection for a great price. Networx® variety of Couplers will help you to connect multiple cables together, or extend an existing line. 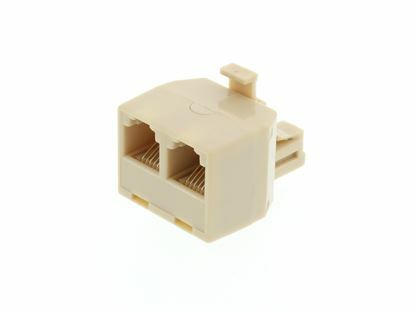 Our inline moudular couplers provide a quality female to female connection for a great price. Networx® Couplers are great when needing to combine 2 cables for an extensive cable run.